Real Estate Troubles in India – Buy Wisely ! After long bull run in the Indian real estate market, market is taking a breather now. This is felt all over India in all major cities. The decade of 2000 to 2010 is the best in Indian history. 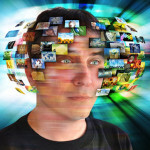 In some locations investors have enjoyed good return even till 2012. From 2012, the returns in Indian real estate has been pathetic. There are several reasons why RE is not doing so well. I am not planning to explore the reasons or forecast the future for Indian RE market in this blog. The objective of the article is to alert new buyers to be aware that the trend has reversed and existing holders to jump the ship while the going is good for them. All over India, majority of the RE projects are delayed and some of them are delayed too long. The average delay is working out to be anywhere between 18 to 24 months. This is just delay alone. Adding this to the promised construction time of 24 to 30 months, you will see projects are taking about 4-5 years for completion. Living in Chennai, I know a couple of major projects that are not delivered even after 7-8 years. Some speculators who booked apartments for short-term speculative gains are caught in their game and stuck with their initial booking money. Their game was to book with a minimum payment and later when the prices go up, they sell their booking to another buyer and make a quick profit. Builders were taking their cut of Rs.100-300/sqft depending on the location and project premium. This game is now over. Builders are sending demand notice for further payments and they are not able to bring up any new money and inventory is piling up across projects. If you are serious buyer who is buying the property for own use, hunt for a completed project and buy it. You may pay 5-10% premium over the buyer’s price. It is well worth it. Don’t go for under construction project which are promised delivery in next 2-3 years time. This problem is wide-spread and deep. Even nation wide known names like Unitech or DLF are no exception for the delays. According to PropEquity Analytics Pvt. Ltd, a realty research and analysis firm, among projects that offered possession between 2011 and 2014 in NCR, 78% are running behind schedule. The average delay is of 30 months. 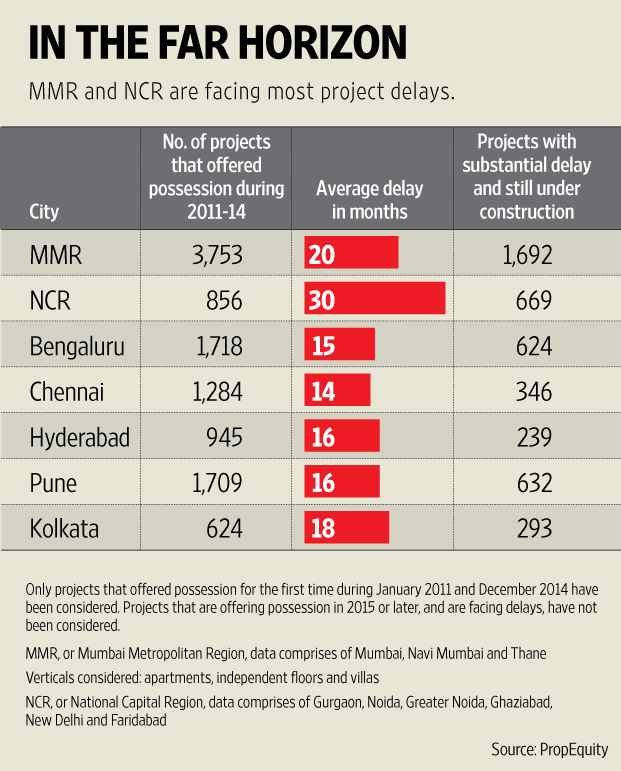 In Mumbai Metropolitan Region (MMR), average delay is 20 months. Due to delay in execution, several builders change their prices or cut down on specification or cut short on quality of materials used. So even if you are ready to wait for another 2-3 years, there is no guarantee you will get what is sold to you. At least when you are buying a property at completion, you know exactly what you are getting and decide the price accordingly. You are not buying an imaginary house shown in the brochure ! Previous story New Pension Scheme NPS – good or bad ?